Marina and Anna were spotted on the Green Top at break time with their Writer's Notebooks! They explained that they were so excited about their writing that it couldn't wait to read each others until after recess! 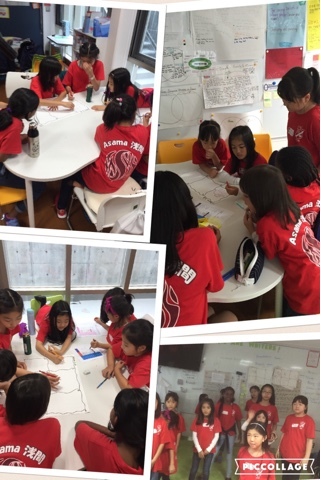 What attributes of the Seisen Learner Profile or what PYP Attitudes are these students showing? Please leave your comments below with a short explanation! 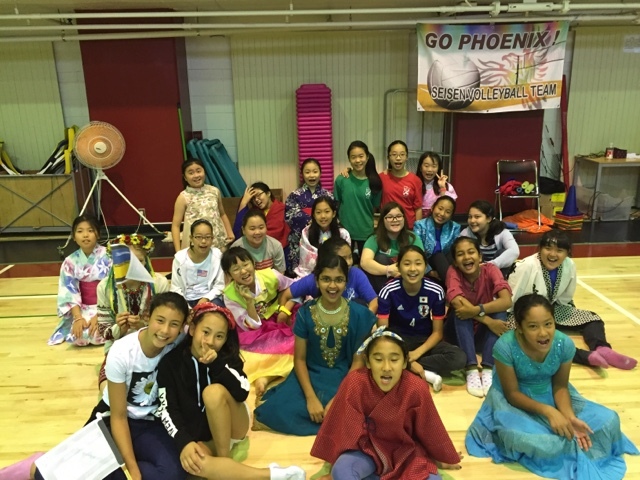 Thank you to Gyeongseo and Dasha for this week's update. 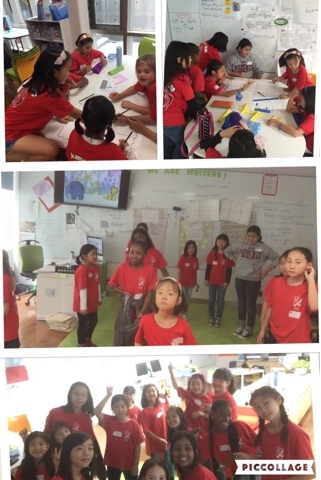 We really enjoyed developing our leadership skills during Global Mindedness Day. We were proud of how Sixth Graders were very caring and showed kindness to the little ones. The Parade was AWESOME! We hope that people will continue to be Global Minded in future. 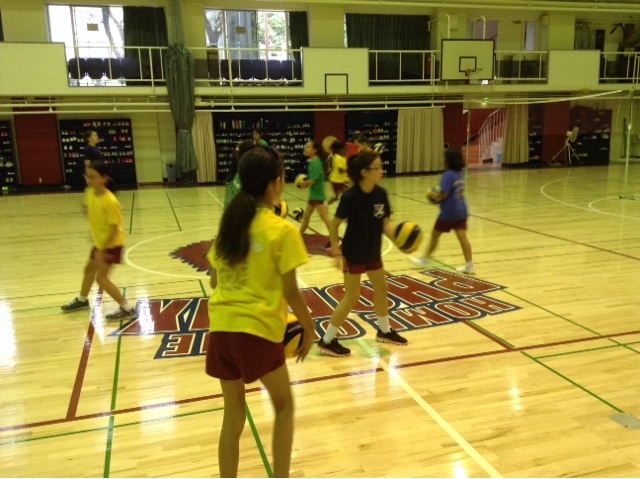 We would like to thank everybody who attended our annual Parents' Day on Monday September 19th. Below are the slides used in the Grade Six classrooms. You can also download all the Grade 6 learning outcomes for the first semester by visiting the curriculum page of our school website here. Students came to the Media Centre and made QR codes to share information they found on various countries. 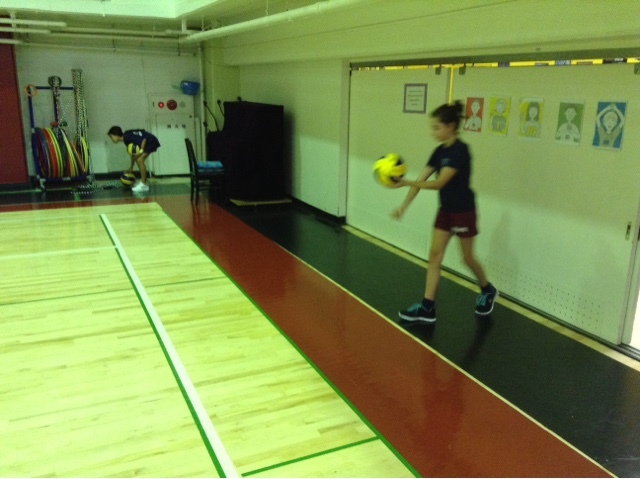 It was a challenging task but the six graders lead their teams, ensuring that all members worked together cooperatively. Parents need brain breaks too! 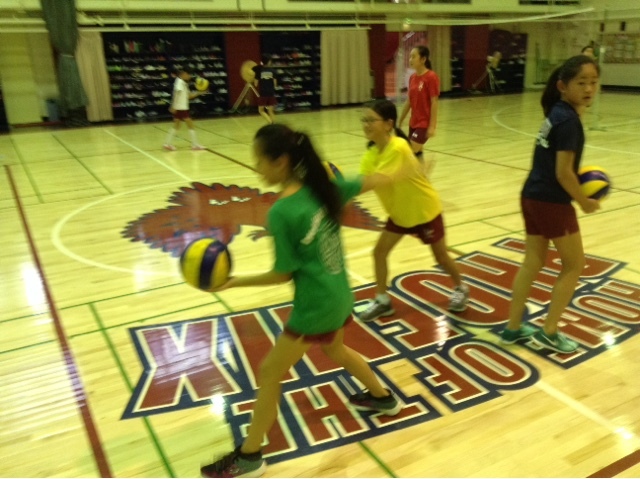 We often take brain breaks in Grade Six. At parents day we had a long lesson- so the parents took a brain break too. I think they were real risk-takers today. In the advanced Japanese class, first topic we studied about were the characteristics of newspapers, the difference between other types of writings and why it is useful to many people. The students also picked a piece of article that intrigued them in some way and wrote few sentences about it. 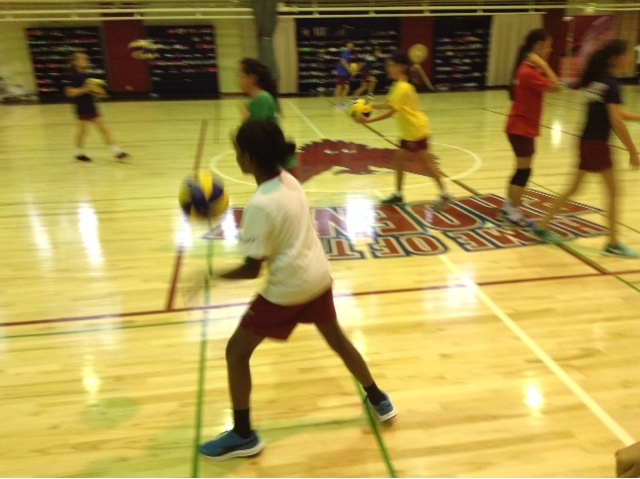 The students have learned the proper technique and success criteria needed to set, bump and serve a volleyball. 1. Correct foot forward. Right handed-right foot forward. Left handed-left foot forward. 2. Big arm backswing. Make a fist with hand. 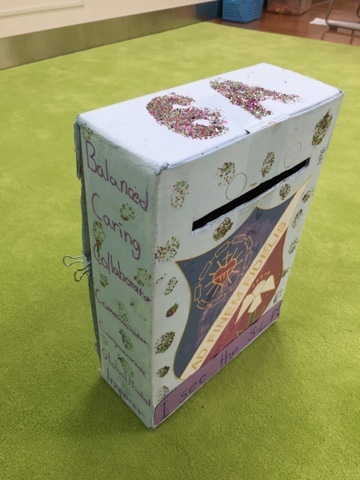 Thanks to the help of our designers Rin, Yume and Joanne, our class has made a Seisen Learner Profile box, where students write slips about others living the learner profile. For this unit we are focusing on the profiles of religious and global-minded. On Friday, we have a little celebration where we open the box, and congratulate the students who have been spotted. World champion percussionist visits Grade 6 students! 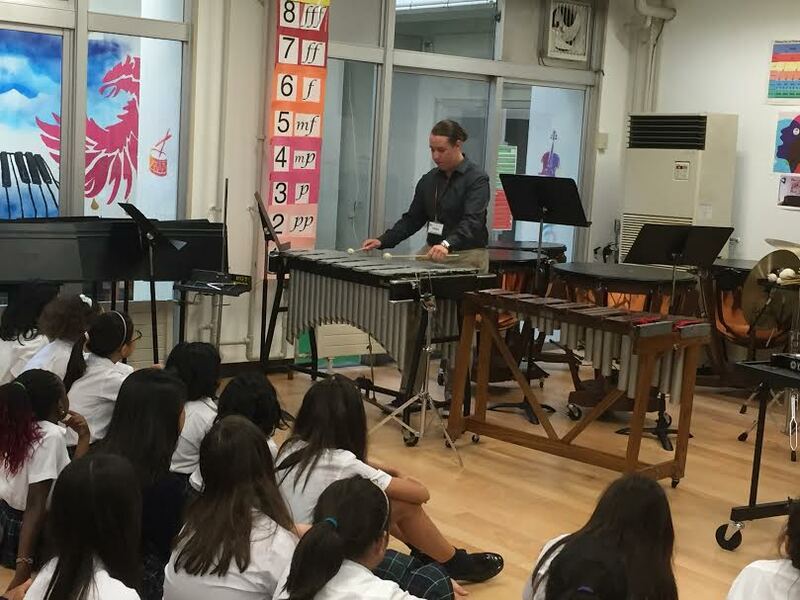 Emily Decelles, a talented Navy percussionist from Yokosuka, came to demonstrate for the grade 6 students during the instrument selection week. Emily has been a member of a percussion ensemble that won the 2014 WGI World Championships, and she has worked her magic with the students! It has been really interesting getting started with our first unit of inquiry and building an understanding of what culture is. For the past two weeks, everyone has brought in an item from a culture that they belong in. We shared it with our classmates and set up a cultural table to show the items we brought. 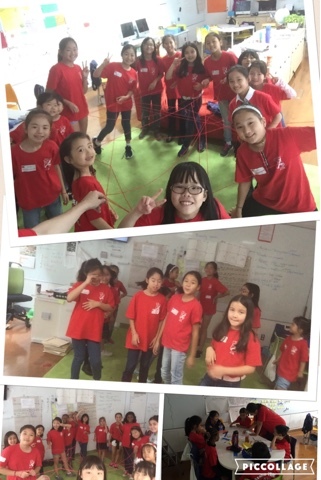 In the spirit of Global Mindedness, students decided to translate the Central Idea: Understanding the beliefs and values of others can promote global mindedness, into several languages including Japanese, Hebrew, Korean, Chinese and Irish. Central Idea and Lines of Inquiry in the languages of 6A. This unit's Learner Profile Focus is on being Globally Minded. 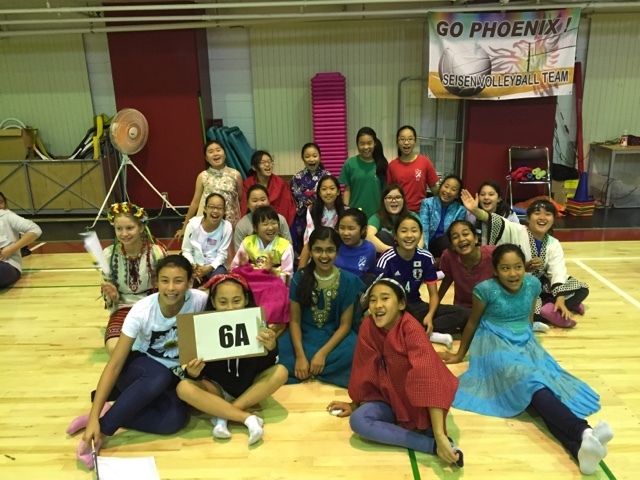 As the students prepare for house their applications for the position of House Captain, they are putting forward plans for how they will develop and promote Global Mindedness.